For acoustical attenuation, our removable covers, custom designed to fit specific applications, will offer great performance and appearance. Performance increases with the increase of frequency of the application noise. 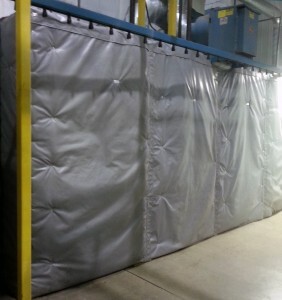 The design of the covers can include a double layer separated by an air gap, significantly increasing the acoustical performance, allowing noise reduction in many instances. Prodimax covers are also known for reducing vibrations, thus protecting existing equipment and the surrounding permanent insulation from vibration related damage that can occur over time.